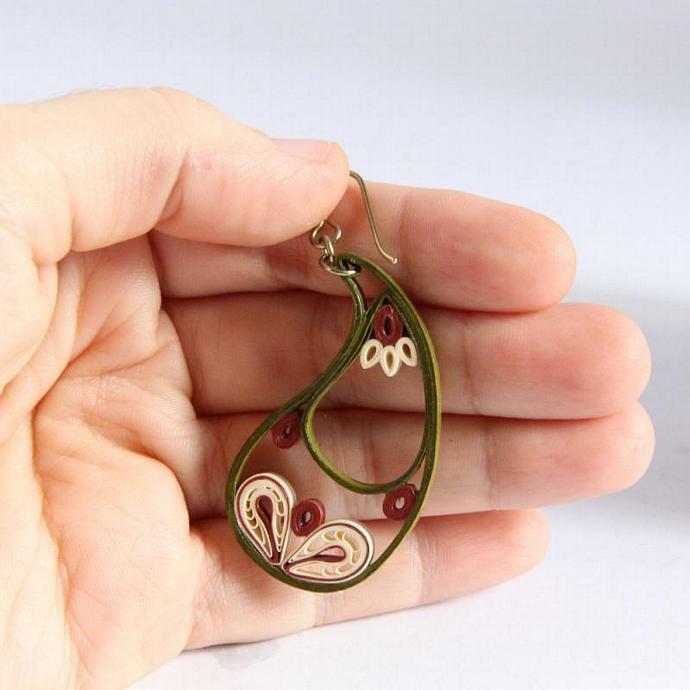 Add a special and unique touch to your outfit with these paisley earrings! 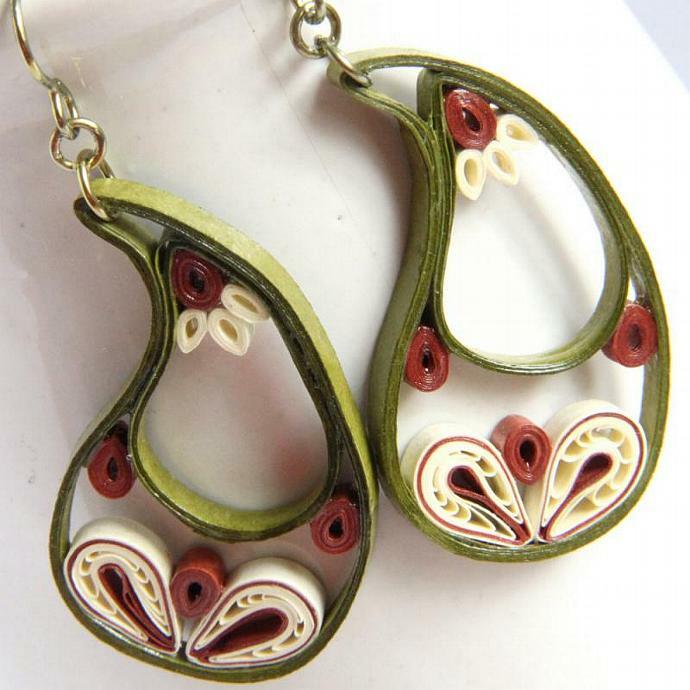 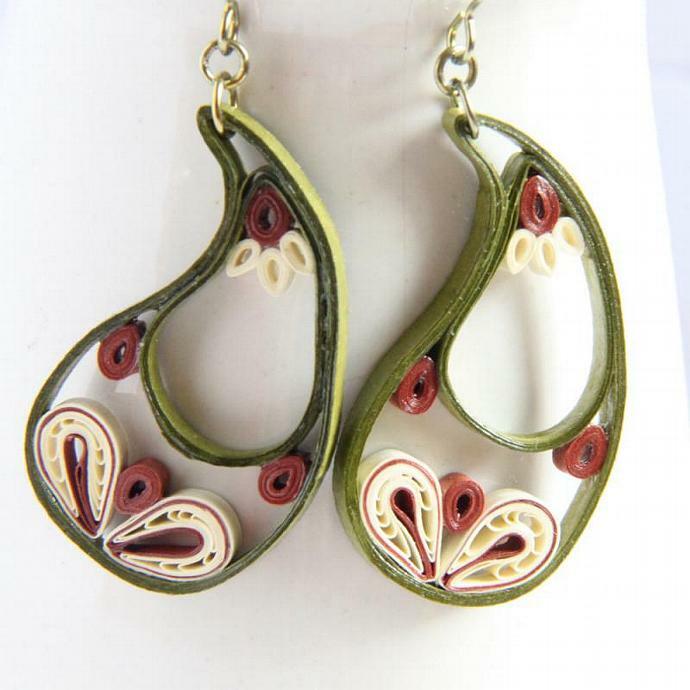 They are eco friendly and handmade by the art of paper quilling and make a great unique gift! 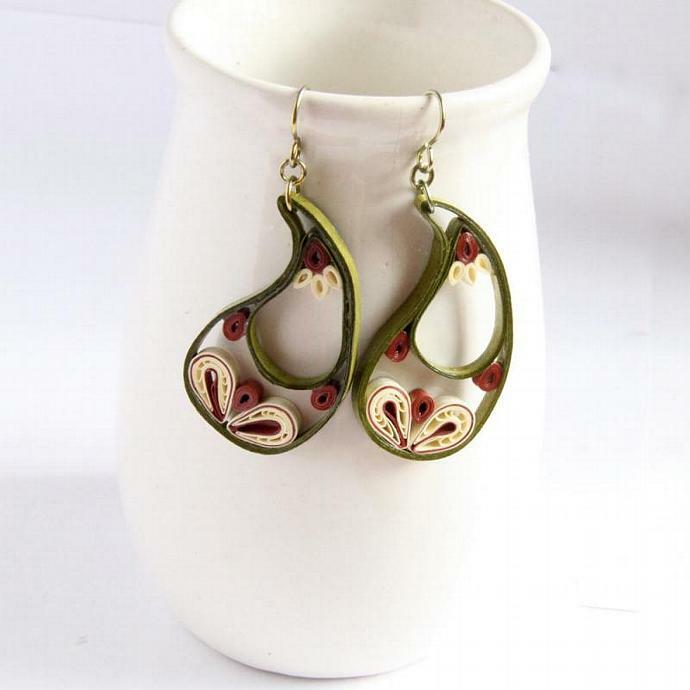 They are inspired by Indian designs found on many saris and art. 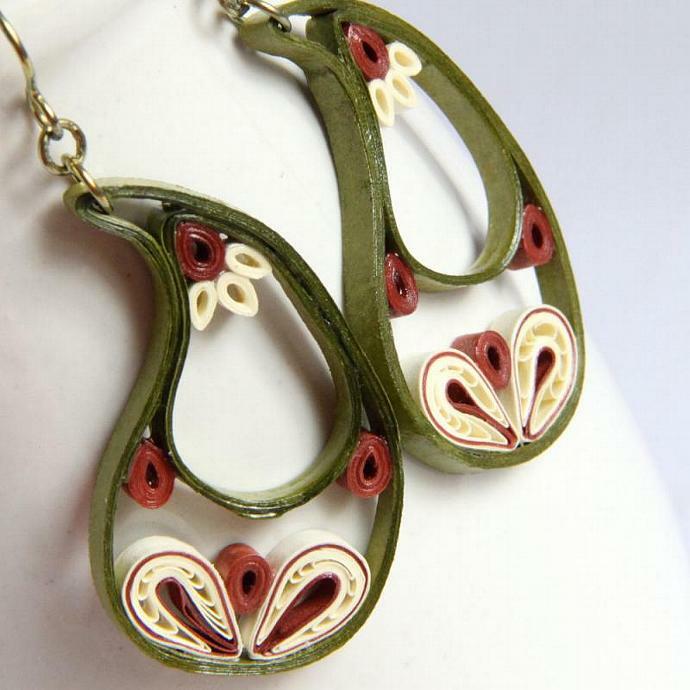 I love the natural colors of leaf green, ivory, and rust!